Minoxidil and oral finasteride are the only 2 FDA-approve therapies for androgenetic alopecia. The use of platelet-rich plasma (PRP) in combination with other hair restorative modalities in patients with androgenetic alopecia (AGA) has demonstrated a significant increase in the density of hairs but not in the caliber of hairs, according to the results of a retrospective study published in the Journal of the American Academy of Dermatology. 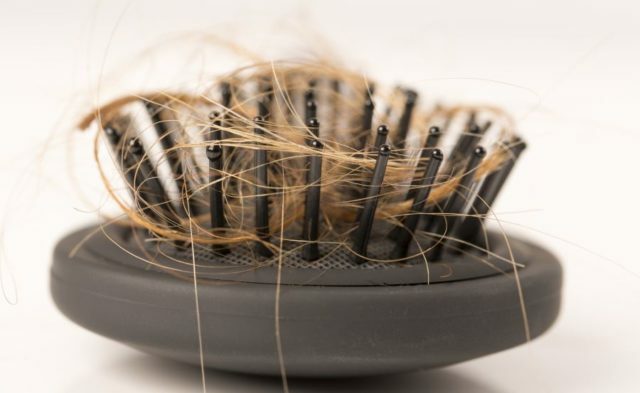 The investigators examined a total of 24 patients with AGA who had received PRP while using concomitant hair restoration therapy. Of the patients evaluated, all used topical 5% minoxidil, and 83.3% (20 of 24) of the participants also received treatment with oral anti-androgen medication (ie, finasteride 1 mg in men and finasteride 5 mg in women). Mean patient age at AGA onset was 29.9 years (range, 13 to 57 years); 79.2% of the participants were women. A positive response to PRP therapy was observed in 70.8% (17 of 24) of patients 2 months after receiving their initial PRP injections. Mean hair density following PRP demonstrated a statistically significant increase from baseline on the anterior crown (+24.5 hairs/cm2; P =.022). Moreover, density of hair with PRP increased by >10% over baseline in 62.5% (15 of 24) of participants and by >20% over baseline in 33.3% (8 of 24) of participants). There was an increase in hair density of >50% reported in 1 patient. Changes in hair shaft diameter did not achieve statistical significance. The investigators concluded that although the study did demonstrate the efficacy of PRP treatment in patients with AGA, limitations include its retrospective design, as well as that there was no blinding and no control population. The study findings exemplify real-world outcomes that can be used to inform decision making among patients with AGA with respect to use of PRP, which entails a substantial financial, emotional, and time investment.